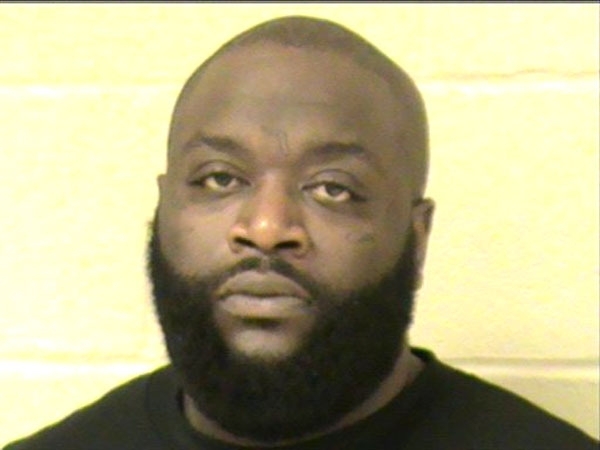 Rapper and former Florida prison guard Rick Ross (real name: William Roberts) was arrested by Louisiana cops in March 2011 and charged with pot possession. Shreveport police responded to a hotel where Ross was staying after someone complained about smelling marijuana. The gangster rapper, 35, was issued a misdemeanor summons and released after posing for the above mug shot. Submitted by rcmayo on Thu, 2011-06-02 20:34. Thats just wrong. Victimless crime.